QUANTUM is the newest and most advanced reactive concrete sealer on the market! Reactive sealers, unlike topical sealers (epoxies, urethanes, acrylics, etc.) provide excellent stain and abrasion resistance and will not yellow or delaminate in time. QUANTUM is specially formulated to minimize sheen while imparting the highest performance as demanded for today’s high-end concrete. We have been producing concrete components for clients on a daily basis since 2004, and have been using reactive sealers exclusively since 2009. QUANTUM is by far the best reactive sealer we have ever used, and the only sealer we trust for our customer’s orders. If you want to sleep well at night, use the best sealer for your pieces, use QUANTUM! 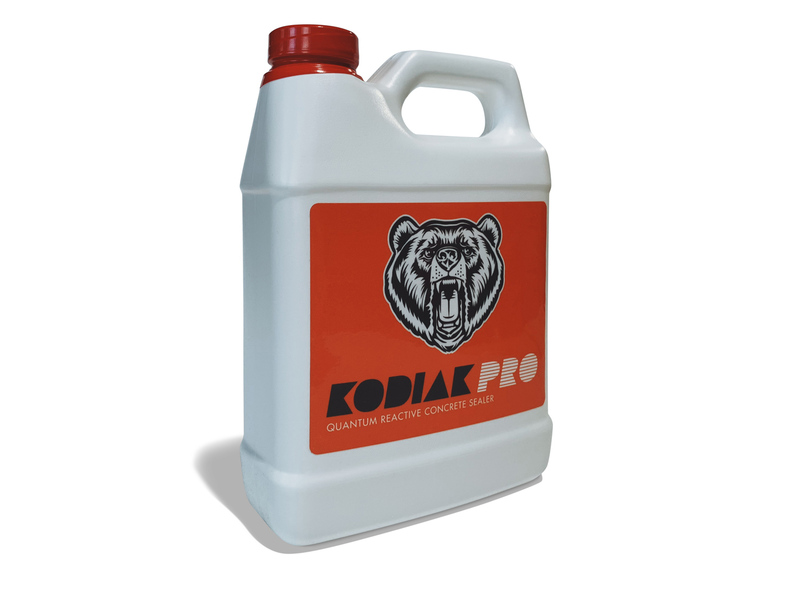 Kodiak Pro Quantum Reactive Concrete Sealer is simply the finest sealer for concrete countertops, sink, tile, and furniture. 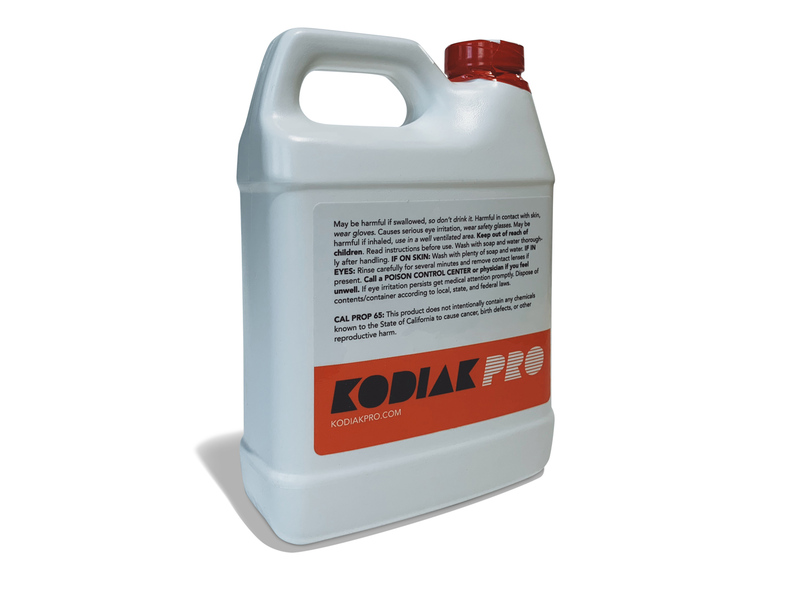 Kodiak Pro Quantum Reactive Concrete Sealer is perfect for all types of high performance concrete mixes including SCC GFRC, ECC, and UHPC. 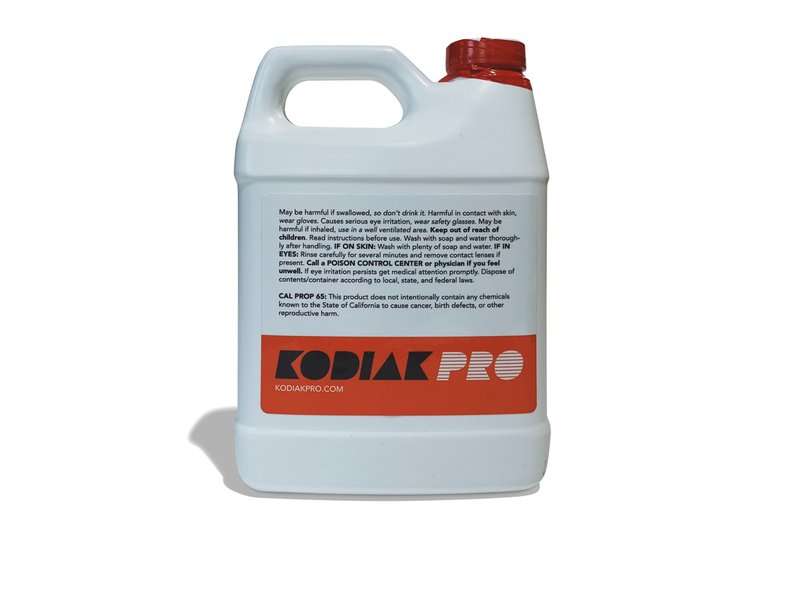 Kodiak Pro Quantum Reactive Concrete Sealer is the sealer of choice for the decorative concrete industry's top professionals. 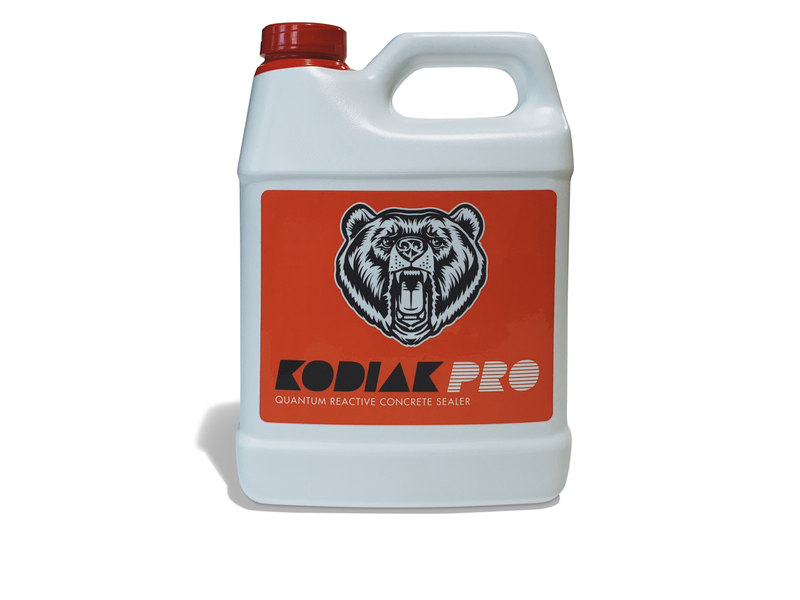 When results matter, Kodiak Pro QUANTUM.